Touring Sydney, Australia, while trying to maintain your budget? You've spent a lot of money trying to get there, but that doesn't mean you have to empty your wallet trying to enjoy the city. Check out these budget attractions and restaurants along your tour. Situated on the shores of the Sydney Harbour with the Opera House and Circular Quay on the western boundary, the Gardens cover 30 hectares and attract over 3 million visitors every year. Free guided walks are offered at 10:30 a.m. daily except Good Friday, Christmas Day and Boxing Day and at 1:00 p m. Monday through Friday except over Summer. You can also take a scenic train tour by the Choo Choo Express daily every 30 minutes (weather permitting) at a cost of only $10 for adults and $5 for children. 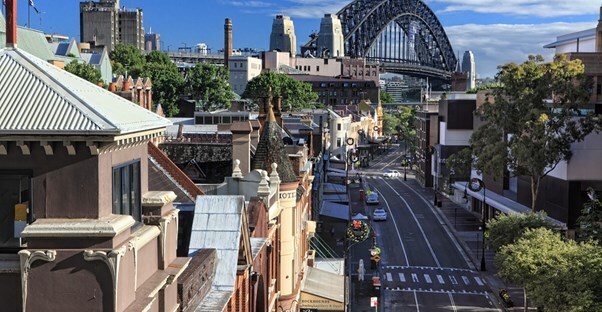 Jump on a ferry from Circular Quay to Watson’s Bay and appreciate being on the Sydney Harbour and getting a cheap tour of the pretty towns and bays that sit alongside the river. On Sundays, you can get unlimited ferry, train, and bus rides for $2.50 with the Family Funday Pass. Completely free, this is the perfect way to spend a gorgeous sunny day. If you get overheated, there are plenty of beaches and coves where you can stop for a swim along the way. Both are free and are located in beautiful spots on the Harbor. The Art Gallery features modern and contemporary works. The Museum is Australia’s only museum dedicated to collecting and exhibiting contemporary art from across Australia and around the world. This casual diner offers a family friendly sushi train that you can watch go by as you sit in traditional Japanese style decor. The interior is beautifully designed, and you can eat in or take out the light healthy Japanese snacks and more than 100 traditional sushi dishes including their specialty of freshly made Sanuki Udon. The new darling of the Sydney bar scene offers Tuesday gourmet hot dogs for just a single dollar! This is a 1950s themed bar serving food and cocktails and hosting live music and DJs. $5 lobster rolls! Feel rich eating this excellent offer at the Passage's Gin Club on Thursday evenings.